Long car trips are boring. REALLY boring. A great way to pass the time is to listen to great audio books. A bad way to pass the time is to listen to bad audio books. It was so bad, I finally had to just start turning down the volume every time it started up. Other than that, it was fine and enjoyable. 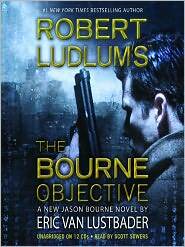 The book was going right along, with Bourne doing his usual thing, when the plot took a left turn off into the weeds. We find out that the “Objective” was to get a laptop and mysterious ring together to find…. are you ready for this: The location of King Solomon’s Mines and fabulous wealth. And, if that wasn’t stupid enough, the key to turning lead into gold. This came out of no where. No mysterious coins that were half lead and half gold early on, leading to a mystery… no, the book dropped that coin as a character was trying to convince Bourne of this wild story. It was like the author thought that a Da Vinci Code like plot twist was just what was needed. It was just nuts. Lesson learned here: Don’t walk into a bookstore cold to just pick out tapes. Do a little research first, before you end up with something really bad. Harry Potter and the Deathly Hallows earned $125.1 Million during it’s opening weekend. I always love how they redefine “weekend” for this sort of thing. Dave Barry has interviewed Carl Hiaasen. Carl has written a lot of really fun novels about the craziness that is South Florida, including Native Tongue , Lucky You , and Star Island . The weekend before last, I was at the Erma Bombeck Writer’s Workshop. It’s the second time I attended. The workshop is held every two years at the University of Dayton campus. About 300 to 400 people attend for two and half days. The workshop is completely unlike any conference I usually go to. Some of you may know that I do computer work, and a writer’s workshop is COMPLETELY different. First, the ratio of women to men is completely reversed. I think there less than 20 guys at the workshop. Estrogen galore. Whoa. Second, the sessions start earlier. At the computer conferences I’ve been to, most sessions start at 10:30 or so. These started at 9am. A hour and half makes a difference to a computer guy. The classes at the workshop were much smaller, which is nice if you want to interact with the instructor. You could certainly do that if you were brave enough to read any of the exercises you went through (I wasn’t). Everyone was very interested in hearing about what everyone else wrote about. I did my best to try to explain the 24 stuff I write about, and to my shock, someone I met had actually read it before. And they didn’t want to chase me down with a hockey stick because of it. Theresa Lode, thanks for admitting you read that 24 stuff. 🙂 Check out her blog, The Mother Lode. I met a writer who gives tours and teaches out to write about your adventures while traveling, Dave Fox. He runs Globejotter Tours, and is great guy to hang out with. I also met Danny Gallagher, a writer for TV Squad, and one of the guest lecturers. Danny was really busy, and seemed to know darn near everyone. Another really nice guy to hang around with. I was able to get books signed by Bill Scheft (writer for Letterman), Steve Doocy, W. Bruce Cameron, Christian Lander (From the Stuff White People Like site. Christian’s rise from idea to New York Time’s best seller took about six months. Crazy. If you’re at all interested in humor writing, be sure and keep you calendar free for spring of 2012, when they’ll hold the next workshop! The book “Lost: Messages from the Island ” was released today. It’s a book with some of the best articles from LOST Magazine, and if you’re looking for more LOST while we wait for the final season to arrive, this is just the thing!